It will be a joint effort by the Army Aviation Heritage Foundation’s Arizona Chapter and the AAHF’s Southern California Detachment. Some of the members involved with the movement of the aircraft were Dave Gross, Bob Sullivan, John Harris, Tommy Filler along with long time life member, and one-time AAHF Member of the Year, Ron Warner. The Black Pearl (589) will be on display at Yanks Air Museum in Chino beginning May 21st, 2017. Living History Flight Experience will be offered to the public. Other objectives will be to fly the attack helicopter to air shows and events during the summer months. It will be a priority to recruit new members for the Southern California Detachment. The membership of the AAHF is comprised mostly of US Army Vietnam Veterans. However, the membership is also comprised of veterans from all branches of the military and civilians. The veteran membership’s time of service spans from the Vietnam War to the Afghanistan War. In short, the AAHF is comprised of America’s finest. It is a worthwhile and rewarding organization to do volunteer work. 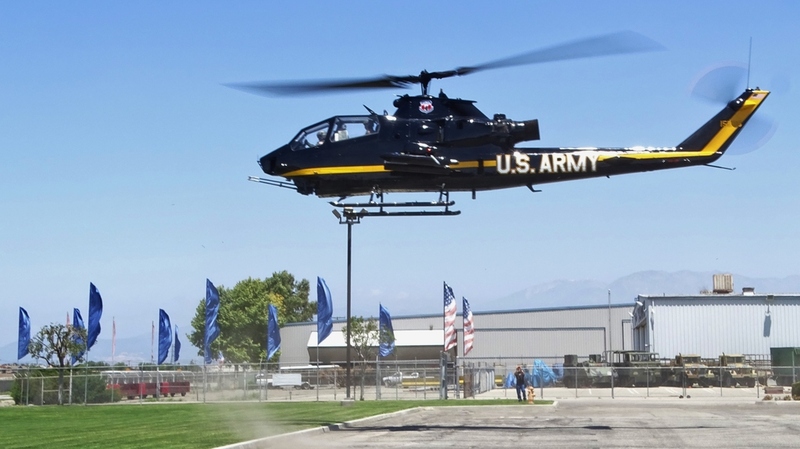 The mission statement of the AAHF is: “We Preserve the History of Army Aviation. We Protect the Legacy of Army Aviation. We Promote the Future of Army Aviation”. The first Air show is this coming Saturday (5/20) at Redlands, CA. Cobra 589 will be based out of the Yanks Museum at Chino, CA. Yanks Museum and the FBO have been super in supporting the CA Detachment with advertising and low-cost fuel. Yanks Museum is in full support of this deployment at no cost to us, very cooperative. If you have any specific questions regarding the Cobra 589 project, please contact Dave Sale ([email protected]) or Ron Warner ([email protected]). Editorial Credit: Dave Gross provided the input for this article.